Well let me start off by saying if you haven’t read my blog post on my TOP THREE STORES to shop at day after christmas go HERE to read that first and then come here and read what I suggest buying the day after Christmas. These items listed are just what I suggest purchasing the day after christmas. Everything else, I suggest waiting for it to drop to 90% off especially if you have more than 2-3 Target stores around you your willing to hit up you’ll find everything you want once it goest to 90% off if you get there right when they open. Where I live the ziploc bags & glad wrap and foil go first. So I am literally at the store the moment they open for this reason. Within 5 minutes they’re all in peoples carts. 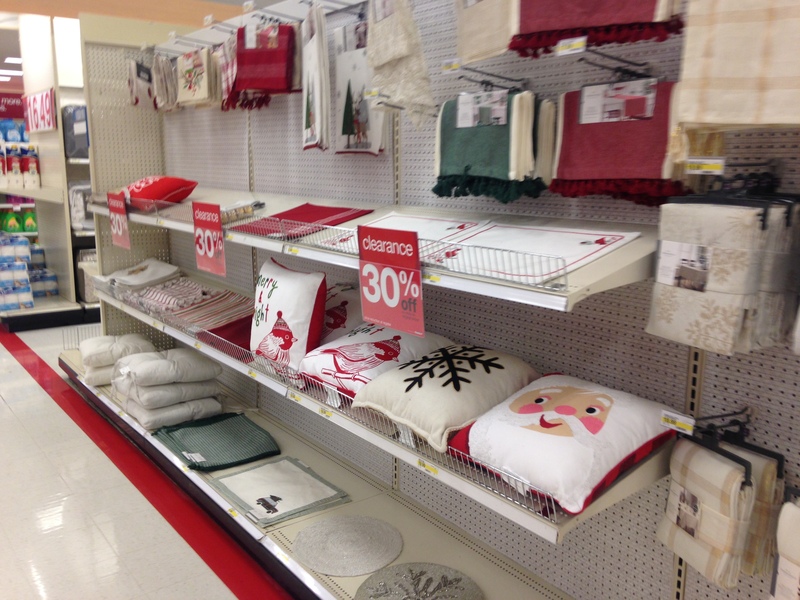 Napkins: Just look for the paper napkins with holiday prints hidden away in the regular aisles with paper goods! We always stock up on 2-4 of these for the entire year. This should kind of be a no brainer so I won’t go into to many details on this one. I typically go for the wrapping paper first because its what everyone else goes for first as well. Other things I typically go for are: Placemats, Mini Christmas Trees, Christmas Lights (if we need more), garland (I always get this at DT because hello $0.50c!!! Christmas Decor is actually the thing I get the least amount of things from if any. Plastic Tablecloths: Who doesn’t need plastic tablecloths for parties and get togethers? They are typically always just one color so I grab a couple for year-round crafting parties, and parties we throw. Paper Napkins & Cutlery: We use these paper napkins for parties, christmas parties, and any other parties we may have and plastic cutlery is perfect again for parties (less dish washing for you 😉 and picnics. 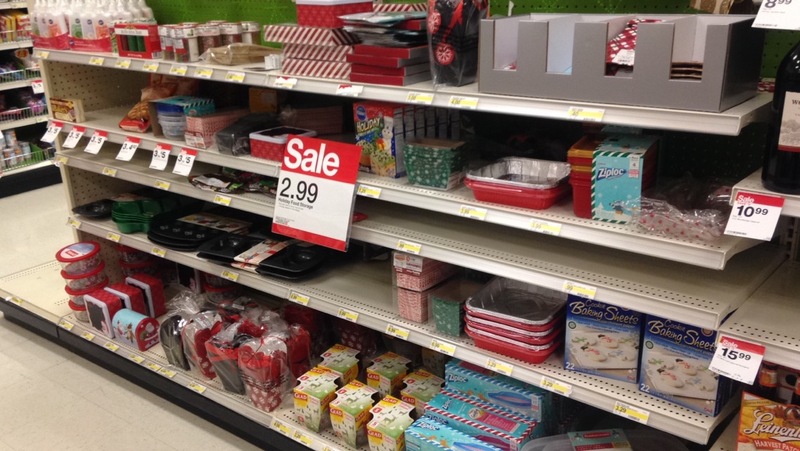 Paper Plates/Cups/Bowls: My stash of paper plates/cups/bowls is 100% from holiday clearance.